When you think of the term “blood thirsty”, you probably imagine vampires, zombies or any number of creepy things; but did you ever imagine it describing a place? United Blood Services would use it to describe the Phoenix valley, which at the moment is literally dying of thirst. 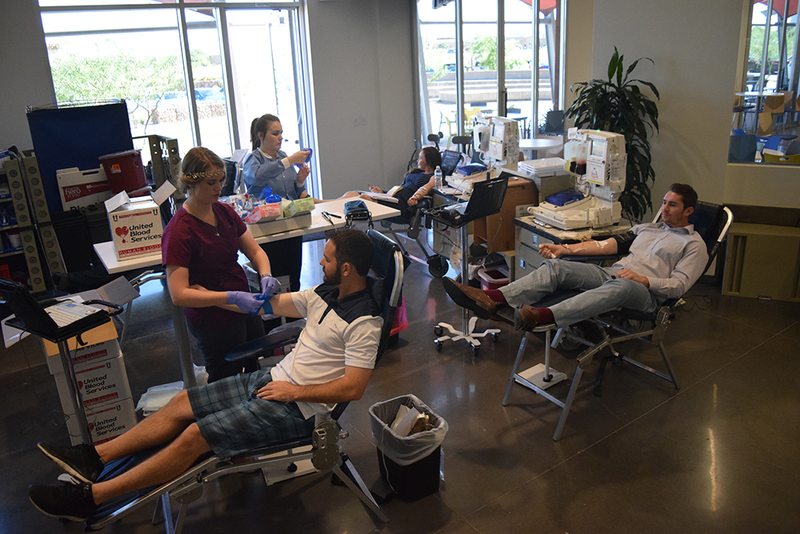 It’s estimated that the Phoenix valley alone needs 500 pints of blood a day to treat hospital patients, and United Blood Services are busy all day, every day, collecting blood to meet that daily deadline. Without their dedicated efforts, Phoenix hospitals wouldn’t be able to treat their surgery patients, conduct chemo therapy session or save accident victims. Those who participated in the DriveTime blood drive truly are heroes. By donating just a pint of blood, they can save three lives. “I’ve never done it before, and this is an opportunity to do something great,” said Ha Huynh, DriveTime Application Developer. 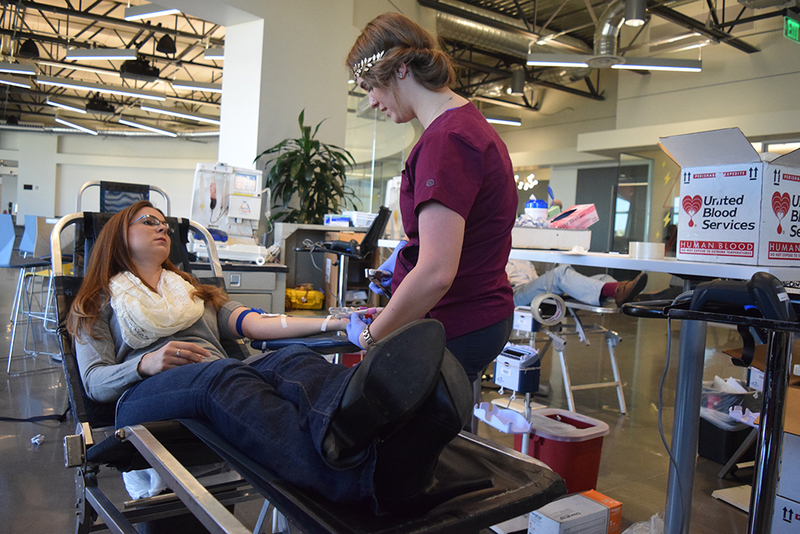 “I always seize the opportunity to give blood. It’s so easy because they come to you, and my draw saves three lives,” said Samantha, SilverRock Accountant. 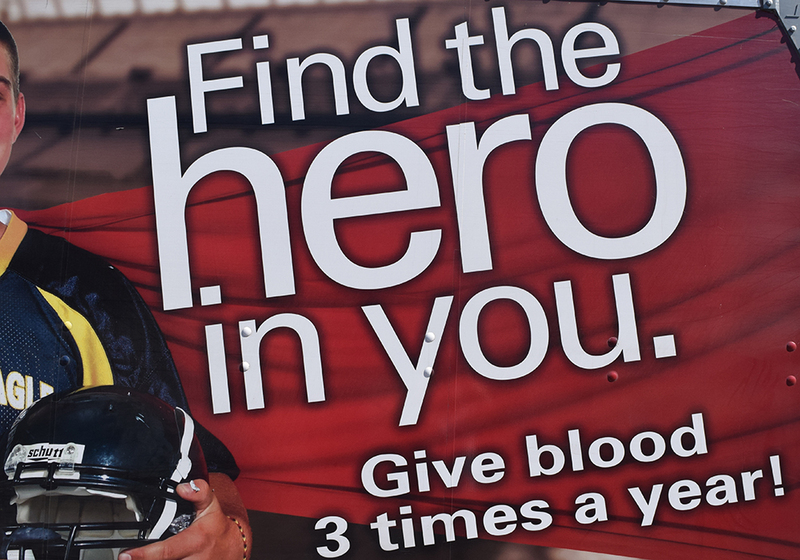 This world needs more heroes, and donating blood is perhaps the easiest way to do something incredible. It takes bravery to accept a needle into your vein, but if you can endure that microsecond of discomfort, you can give a lifetime of comfort to countless others. Your city needs you. United Blood Services is constantly operating in the Phoenix area, and donating blood is quick and it’s easy. You could save lives during your lunch break.